DLab experiments with digital design tools and rapid prototyping techniques as integrated systems of design development. Taking advantage of the direct access to the AA premises in the heart of the London, the programme combines studio work, public lectures and reviews/discussions. 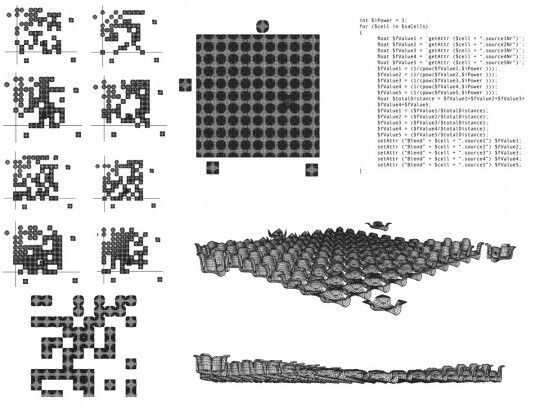 One of the 3 available studios was taught by Jeroen van Ameijde and Kristof Crolla and used Maya modelling combined with MEL-programming as a basis to explore generative design strategies that capitalise on various prototyping technologies. 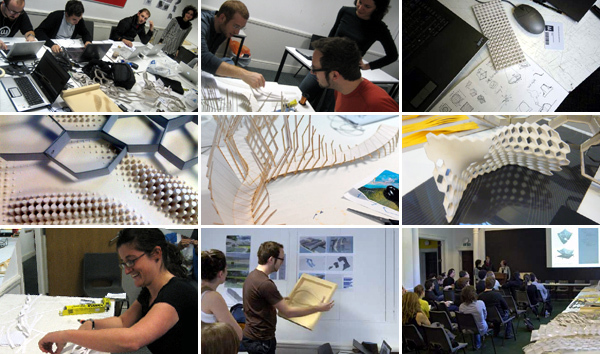 Using a brief focused on the design of catalytic structures in public spaces, each of the student teams explored a range of digital design techniques, modelmaking and prototyping.